If you’re a lover of The Blues, and you know I am, then you do not want to miss this. 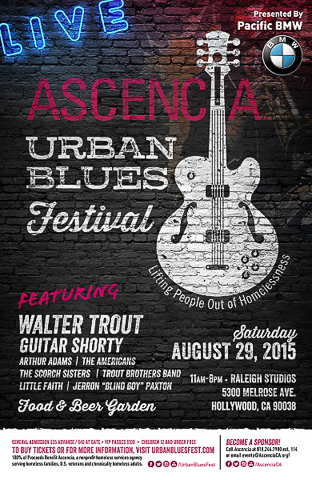 On Saturday August 29, Raleigh Studios is hosting the best damn blues-fest this side of the Crossroads festival. Walter Trout and Guitar Shorty are the headliners. Also on the bill are Arthur Adams, The Americans, The Scorch Sisters, The Trout Brothers Band, Little Faith, and Jerron “Blind Boy” Paxton. For those of you who don’t know, Walter Trout is not only one of the best living guitarists around (don’t believe me? Check him out for yourself), but he’s being joined by Guitar Shorty. This highly regarded duo teamed up in 2006 on “Full Circle” on the track “Wrapped Around Your Finger”. My iTunes tells me this is the most played song in my 4000+ song ipod. No wonder. I’m seriously addicted to this track and the CD from which it comes. Walter Trout is THAT GOOD! And combined with Guitar Shorty? It’s like Jimi Hendrix meets Jeff Beck and Jimmy Page. We came close to losing Walter in 2014, but thanks to crowdfunding and his legions of devoted fans, he is still with us, and is still providing us with some of the most incendiary guitar/vocals around. I would not miss this for anything, and he’s playing on the same night as Joe Bonamassa!!! The event is being presented by Pacific BMW and all proceeds are going to Ascencia, a non-profit homeless services agency serving homeless families, U.S. veterans, and chronically homeless adults. Visit www.urbanbluesfest.com for more information. 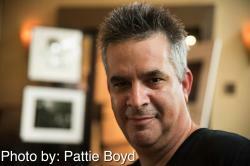 This entry was posted in Music, Upcoming Events and tagged #waltertrout, Blues. Bookmark the permalink.